The Skype call sound rings from my laptop. Familiar, friendly voices float out of my speaker, women who are also wives and moms living overseas like me. We have a good, challenging conversation. There is give and take. I ask as many questions as I answer. I share thoughtful and sometimes even humorous anecdotes, but I'm careful not to go on too long. I try not to interrupt, to let whoever’s talking have their whole say. I try to convey my point of view in a sensitive way, especially if it differs from the others’. I listen. Intentionally. Deeply. Attentively. Inside I feel calm, aware, settled. After the call, I feel gratified. Satisfied. Encouraged. I’m growing! I’m really learning this listening thing! A little while later, it’s lunchtime. My husband comes home from work. He tries to tell me about his morning; I’m distracted, getting the kids fed. He attempts to relay a telephone conversation he’s had; I “mm-hmm” without really paying attention. After the kids run off to play and we linger over our usual mid-day cups of tea, he starts expressing some pieces of the stress he’s currently feeling; I’m checking Facebook on my phone, mind elsewhere, not paying attention. I looked up with shocked face. My phone went face down on the table. Believe me, I started listening. But it was too late. The moment had passed. Lunchtime over, my best friend went back to work, feeling unheard, alone, and probably unloved. I had failed to listen, and I rued it the rest of the day. This month I have learned another valuable lesson. While the things I’m learning about listening might be penetrating my outer “public” layer, I still have a long way to go to allow these changes to reach my inner “home” layer - the arena where change really counts. If the most important relationship in my life doesn’t feel listened to, if I can’t enter his world with real attention and interest, see life from his perspective, what - really - is all this “learning to listen” about? This is where the rubber meets the road. Will I, can I, learn to listen to the most familiar voices in my life with fresh ears, fresh attention, fresh love? 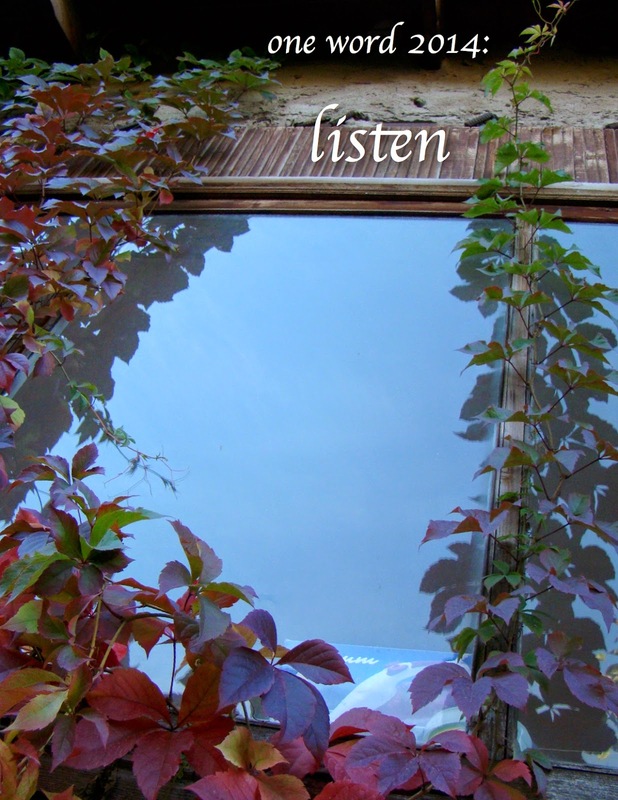 Or will these lessons in listening remain just an external shift in how I present myself in a group, a needed self-restraint from a temptation to monologue, a healthy exercise in compassion? It’s crunch time. Stay tuned. I’ll let you know how it turns out. This is SO good. Thank you for sharing...even the difficult parts. Much love to you in Jesus! Happy Birthday, Ben! You're FIVE! Happy 2nd Birthday, Ruby Grace!